A cooling property market in the UK means flat values are plummeting by more than 7% in some areas in a boon for first-time buyers trying to buy their first home, research by home finance provider Gatehouse Bank reveals. Indeed, Land Registry data shows Aberdeen is offering the biggest discount year-on-year, with the price of flats in the Scottish city dropping annually by 7.5% in the last quarter. 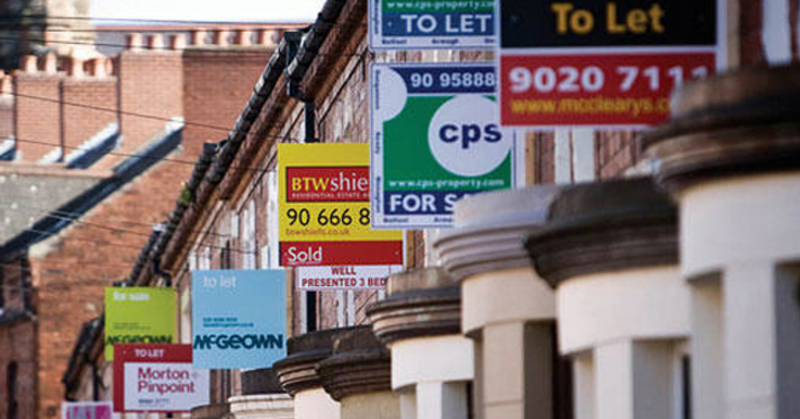 The price of flats in St Albans decreased by 5.3% and in Middlesbrough they fell by 4.6%. 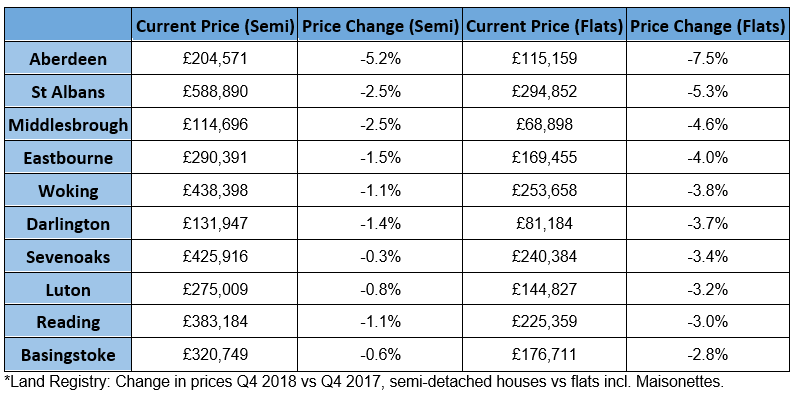 This table shows the annual change in the price of semi-detached houses vs flats in the last quarter (Q4 2018 vs Q4 2017). 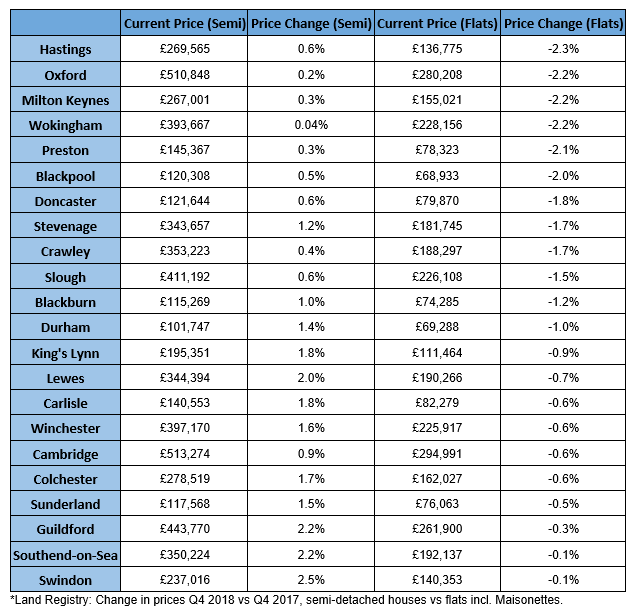 It found that the price of flats is falling in 30.6% (33) of these areas, although on average flat prices are still growing at a rate of 0.95% a year. This is nearly four times slower than the 3.39% annual growth being recorded for semi-detached houses. In 22 areas (20.4%), the price of flats is falling while the cost of semi-detached houses continues to rise. “Our research shows that the value proposition of flats in these areas is changing far more rapidly than it is for larger properties and this is likely to prove tempting to many prospective purchasers in the coming months,” the CEO concluded.